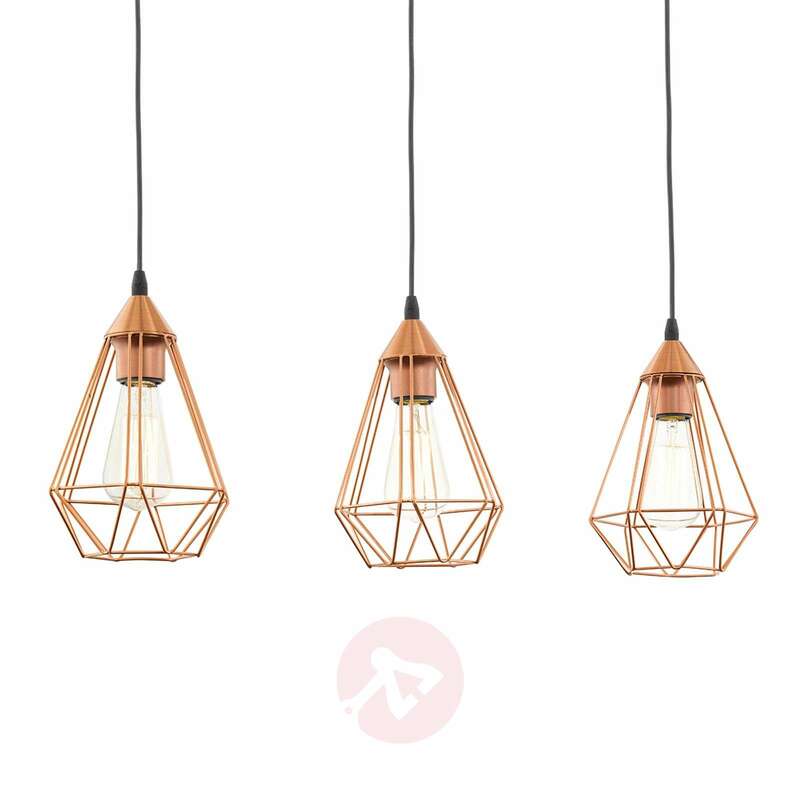 The glossy copper Tarbes pendant light is a very special light, as it catches the eye as soon as you enter the room thanks to the vintage design. 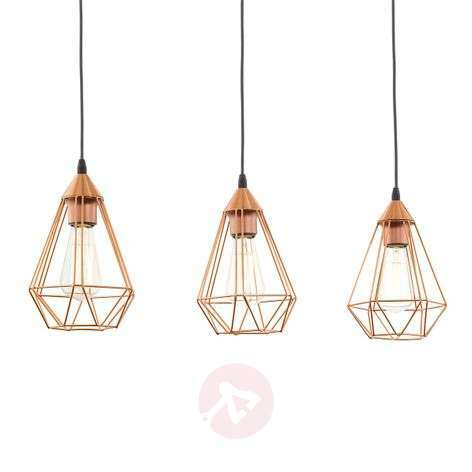 A total of three lampshades made from delicately worked metal wire combine with the bulbs which sit in their centres to create a magical lighting atmosphere. 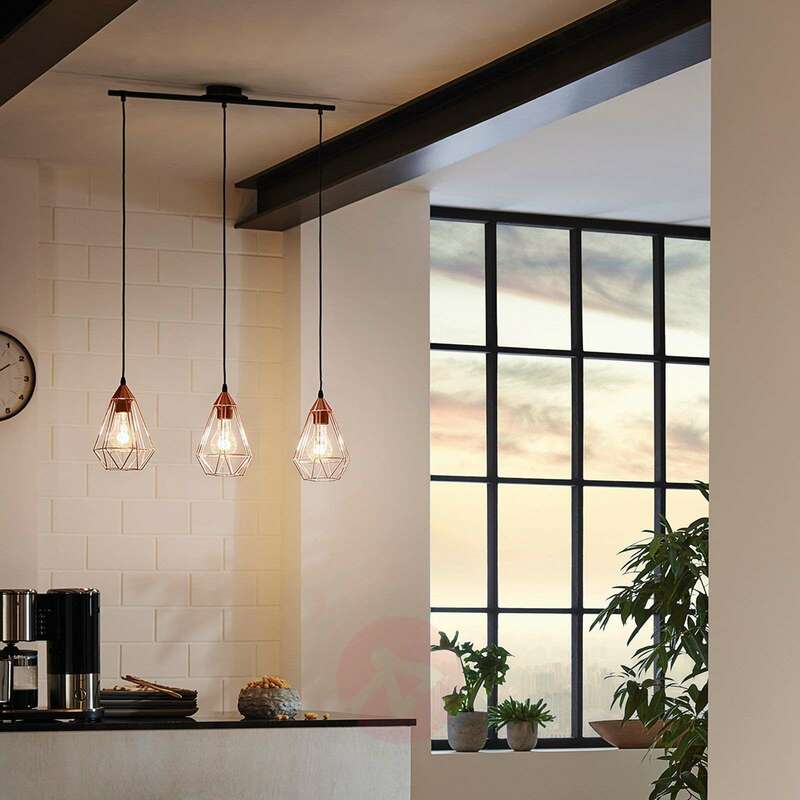 As soon as the light is switched on, you can enjoy a wonderful interplay of light and shade thanks to the wire pattern. 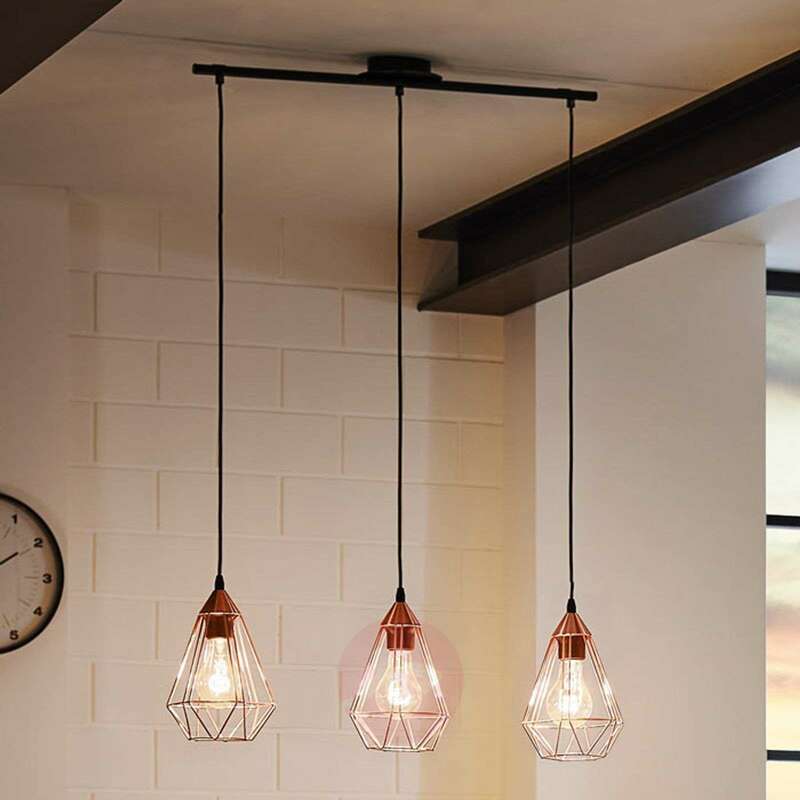 Tarbes represents confident table lighting with its 110 cm suspension cable and length of 79 cm. Hi, thank you for your question. This is able to be used in a bedroom, this is of course the customer's choice. Is the drop of the lights adjustable? The Tarbes light cannot be shortened. 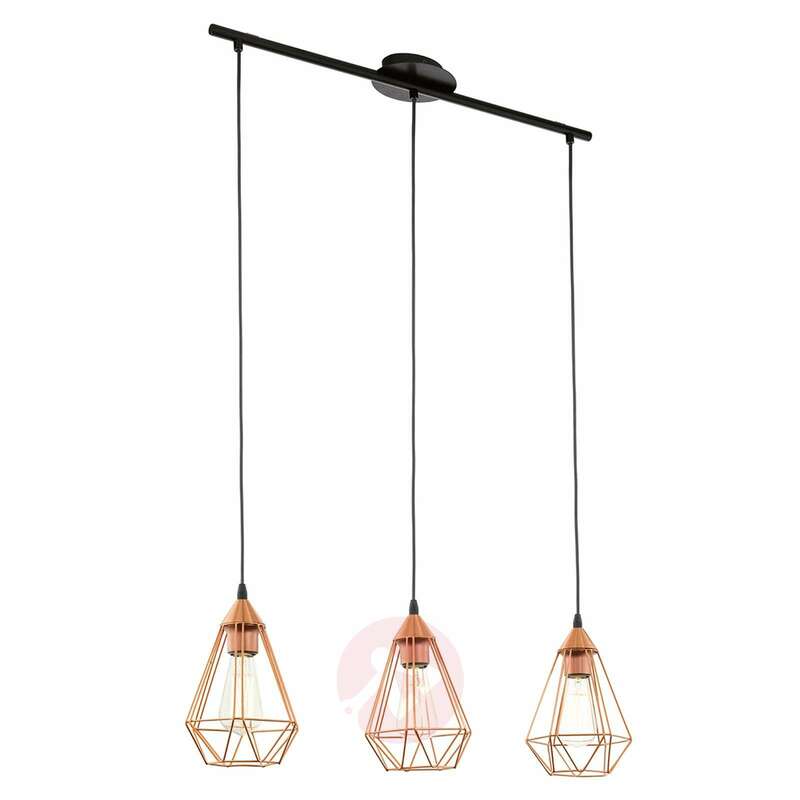 Due to the design of the luminaire, it won't be possible to adjust \ shorten the suspension.